For nearly 40 percent of British consumers, smart chronometers are already among the most important future trends in the watch industry. In terms of functionality, however, opinions vary considerably. Nearly every second person sees alarm devices in smart watches in a positive light, for example for helping older people feel more secure. On the other hand, 44 percent are against making mobile payments by smart watch. These are the results of Messe Munich’s 2018 INHORGENTA trend index, which analyzed a representative sample of 1,025 consumer responses in the United Kingdom. At present, 53 percent of consumers see smart watches in competition with smart phones. 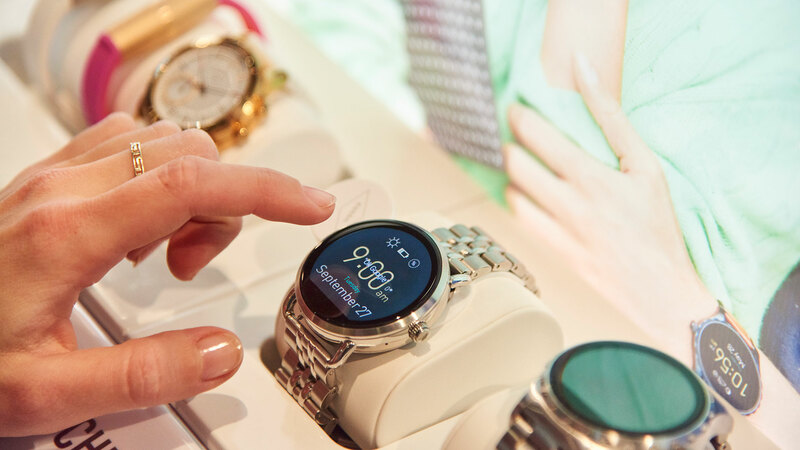 Market success in future may well depend on providing consumers with an added value that is directly connected with the high tech device on their wrist. Currently, apps considered ‘standard’ for smart phones such as navigation aids (19 percent) and fitness trackers (14 percent) are only deemed important by a small percentage of consumers for smart watches. Additionally, 73 percent of consumers say that digital chronometers will never completely replace classical timepieces. In some areas, for instance, the traditional craft of watchmaking is still highly valued: 77 percent of British want to be able to take their watch to a clocksmith for repair. Over half of all comsumers even consider this to be very important. Furthermore, 72 percent believe that a watch should reflect a sense of craftsmanship. For the Messe München's INHORGENTA Trend Index 2018, a representative survey was carried out in September 2017 with a total of 4,000 consumers in Germany (N=1,060), Great Britain (N=1,025), Switzerland (N=1,001) and Italy (N=1,118). The survey was conducted by a market research institute on trends in the watch and jewellery industry. From February 16 to 18 2018, the entire world of jewellery, gems and watches will be presented at the INHORGENTA MUNICH. Along with manufacturers, designers and wholesale jewellers, the trade fair is successfully engineering the future of the industry. Around 1,000 exhibitors from 40 countries as well as around 30,000 retailers from over 70 countries will be featured on an exhibition site of 65,000 square metres.